First it was the PDA at Omotola's surprise birthday party [Photos], and now the actress and wife of Matthew Ekeinde is speaking out in appreciation of her husband, whom she calls "a GOOD MAN". Omotola and her husband are celebrating 17 years of being married, and it so happens that they got married on his birthday, so it's a double celebration. Omotola doesn't often talk about her family life [Interview], but when she does, she is always full of praises for how supportive her husband is. Often we hear about the worrisome dysfunctional marriages, but in as much as all relationships have their ups and downs, there are quite a number of good men and happy marriages out there. 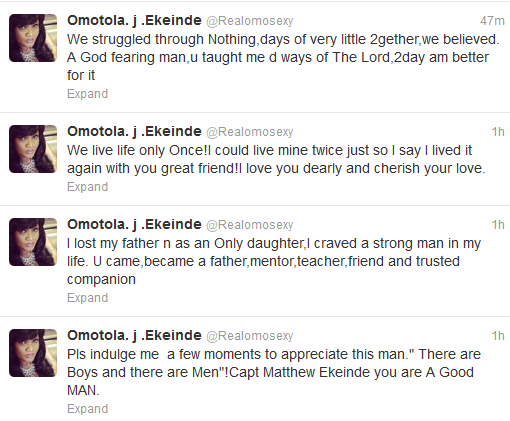 I love that Omotola paid this tribute publicly to encourage those who need it, and also her good man. May we all get the good man we wish for. 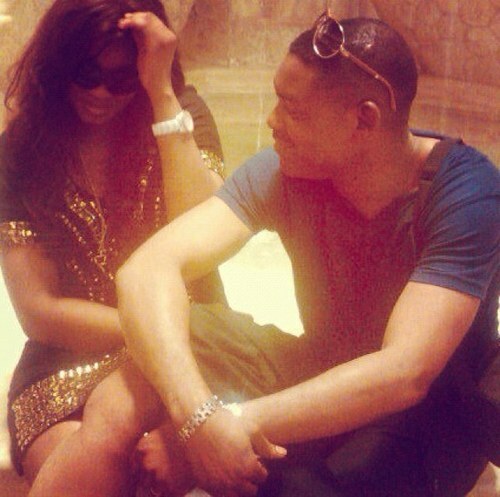 Happy 17th anniversary to Omotola and Matthew Ekeinde.